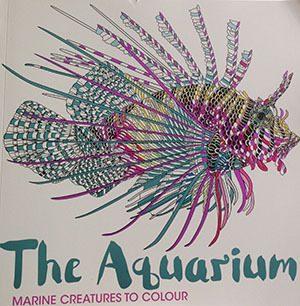 For a way to relax and immerse yourself into aquatic life in a unique way, The Aquarium: Marine Creatures to Colour, published recently by LOM ART priced £9.99, is the third instalment of adult colouring books illustrated by Claire Scully and Richard Merritt, following on from The Menagerie and The Aviary. 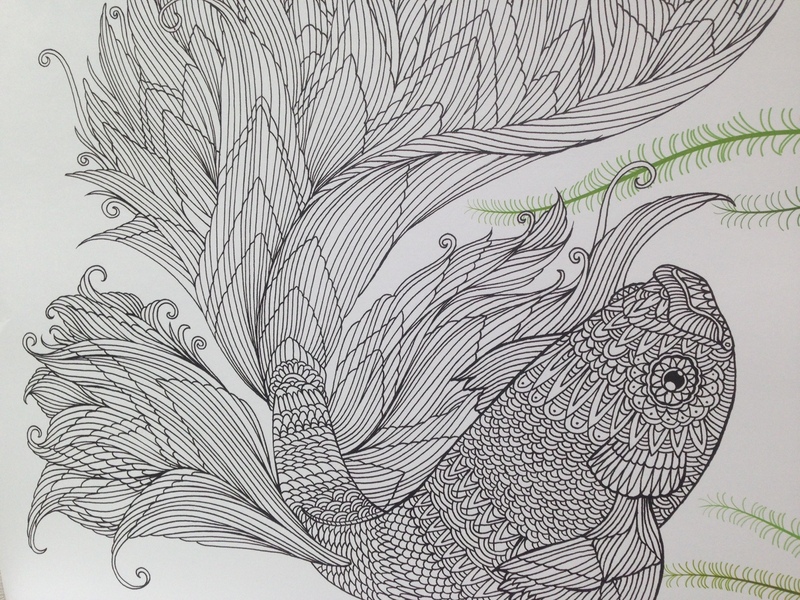 Filled with majestic marine creatures to colour in, the pages include a pearlescent parrotfish and a spotted stingray. The fully foiled cover adds a touch of elegance and a lovely sea-like shimmer. London based illustrator Claire Scully specialises in graphic illustration with a focus on detailed line work as well as an interesting mix of digital collage. While the overlooked objects of daily life inspire a great deal of Scully’s work, she is also very talented at creating intricately detailed animals with sensational zentangles. Richard Merritt has been an illustrator for over 10 years after graduating from Central St Martin’s College of Art and Kingston University. Richard has worked on lots of projects, from children’s books and packaging to magazines and costume illustration for film. His intricately detailed illustrations have become a staple of the best-selling Art Therapy series.